Pratt Manhattan Gallery presents Albers, Lustig Cohen, Tissi, 1958-2018, an exhibition that explores sixty years of graphic design and art work by three influential women artist-designers: Anni Albers, Elaine Lustig Cohen, and Rosmarie Tissi. Connected by shared circumstances of identity, each is a 20th century woman connected to a well-known male artist or designer and business partner, with mutual friends, patrons, places, and communities. Working through and inspired by constraints, all three demonstrated an affinity for geometric, hard-edged forms. 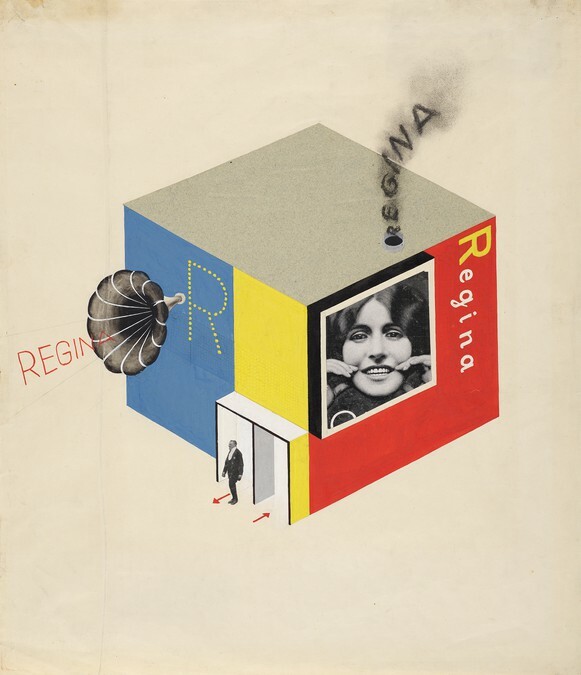 They made work with a common ideal, exemplars of the Bauhaus ethos: unity in art and design. In the work is a vivacity that feels always new, timeless, and individual. 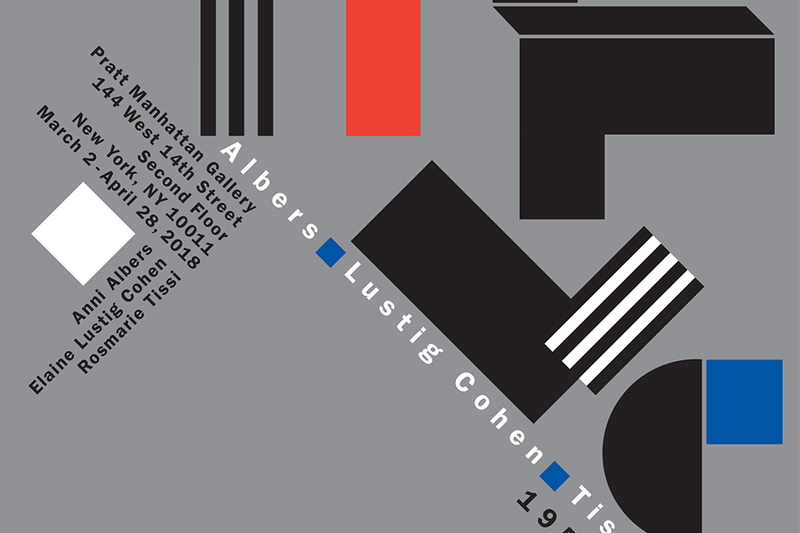 Albers, Lustig Cohen, Tissi, 1958-2018 features a selection of art and design objects –typography, textiles, prints, paintings, posters, sculptures, trademarks, and books, design and/or art—in chronological order beginning in 1958. The three women’s overlapping careers span the arc of the Modernist era—from the Bauhaus, to mid-century Pax Americana, to Postmodernism, and into the present. 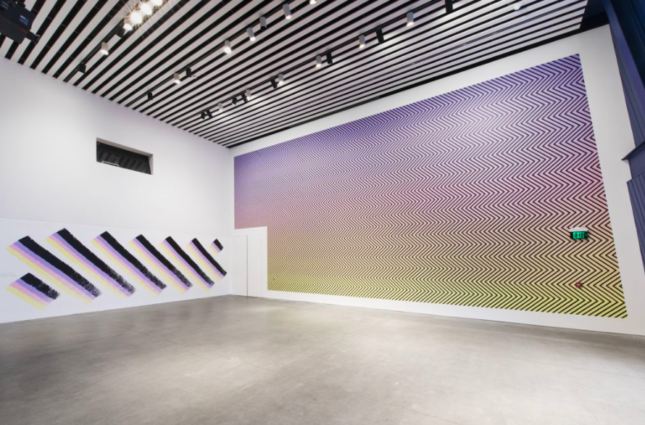 Curated by Phillip Niemeyer, a graphic designer and director of Northern—Southern, a gallery and art agency in Austin, Texas. Anni Albers (1899–1994) began her career as a textile designer at the Bauhaus. She freelanced in Germany until 1933, when she emigrated to America with her husband, Josef. She taught at the Black Mountain School (1933-49). She was the first woman designer to have a one woman show at the Museum of Modern Art (1949). Her book of collected writings On Designing (1959) is considered a classic in design thought and an important text in the lineage of the “design thinking” discipline. Later in life she explored print as a medium for design and art work. She worked and wrote until her death. for the seminal Primary Structures exhibition at the Jewish Museum (1966). In the 1970s she painted, often large and subtle geometric compositions. A group of her paintings were recently shown at Philip Johnson’s Glass House (2015). 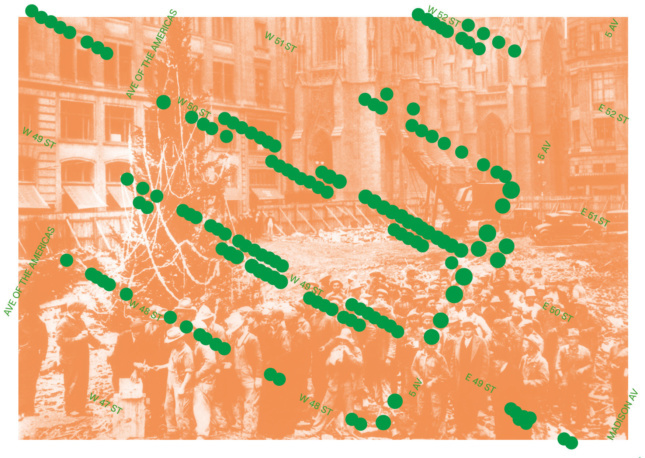 Rosemarie Tissi (1937–present) was published in the Neue Graphik (1957) while still at student in the Swiss School of Art and Craft. She founded the studio O&T with Siegfried Odermatt in 1968. Tissi has been a member of AGI (Alliance Graphique Internationale) since 1974, and ADC (Art Directors Club) since 1992. She is the recipient of numerous awards and prices including three Swiss Federal Scholarships for Applied Arts. She still works today.